The SuperCAT4+ range of locators and transmitters uses a selection of passive, sonde and active frequencies designed to target specific buried assets. Using Radiodetection’s familiar C.A.T controls and display, minimal retraining is required to access these advanced capabilities. 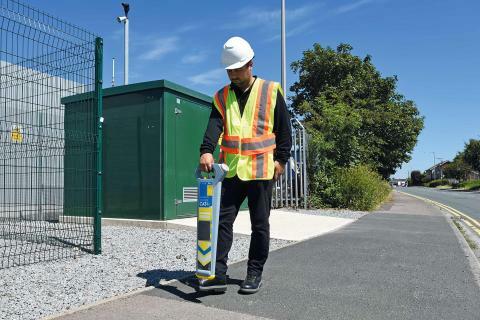 For oil and gas pipes using a Cathodic Protection System, the CPS model can locate the rectified signal without needing an additional transmitter. The S model locates a range of sonde frequencies that can be matched to the challenges of finding water and drain pipes. A lower frequency sonde is useful to trace deep cast-iron pipes. Higher frequency sondes can be easier to distinguish in an electronically noisy urban environment. SuperCAT4+ can be used to locate a comprehensive set of active frequencies to support the detection and tracing of different cable types in varied environmental conditions. Higher frequencies such as the 131kHz or 65kHz can be used to find well-insulated utilities such as twisted-pair telecom cables or insulated pipe joints. For long range locating of lower resistance cables, such as power lines, lower frequency options are available.